We offer the highest-quality casting grains. 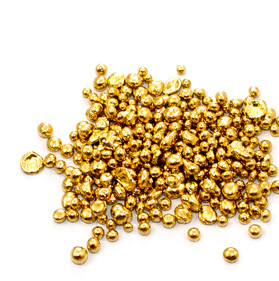 Yellow gold is available in 10, 14, 18, and 24-karat. White gold is available in 10, 14, and 18-karat. Rose or Red gold is available in 14 and 18 karat. The prices below are available for in-the-trade wholesale customers only. Sterling Silver (92.5%) casting grain for your silver smithing needs. Sold to in the trade customers in one troy ounce increments.